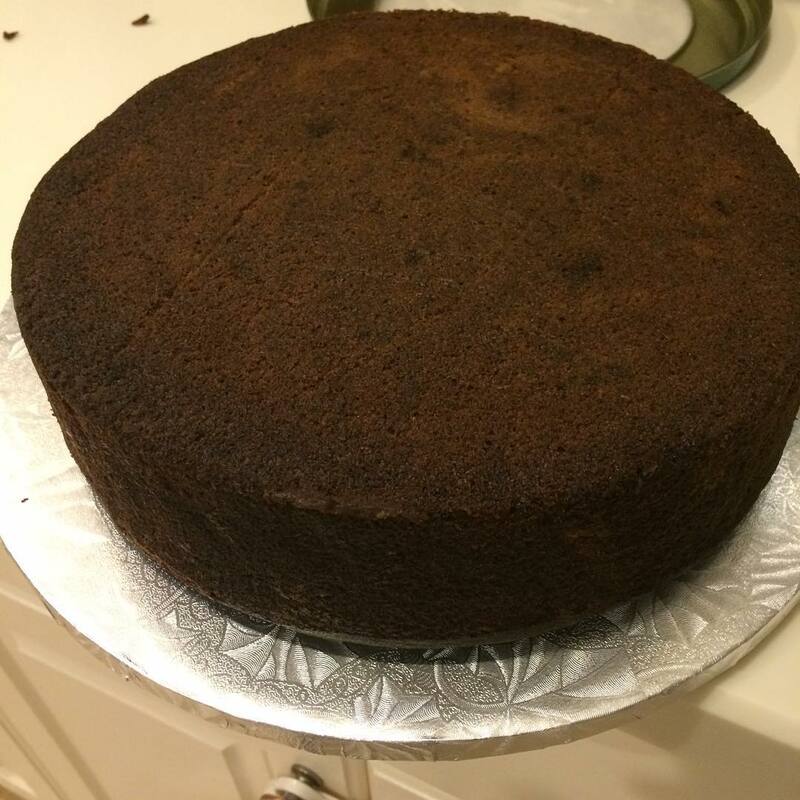 The Traditional Jamaican Black Cake is preferred and baked by most Jamaicans during the Christmas season. 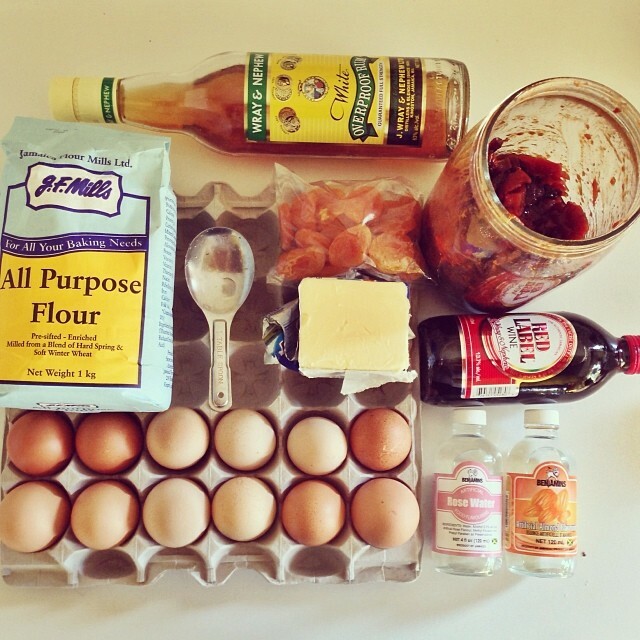 As with cooking, every Jamaican has a slightly different recipe which still turns out great. This recipe is for two 9 inch cakes. It takes a little effort, but the outcome is delicious and gratifying. 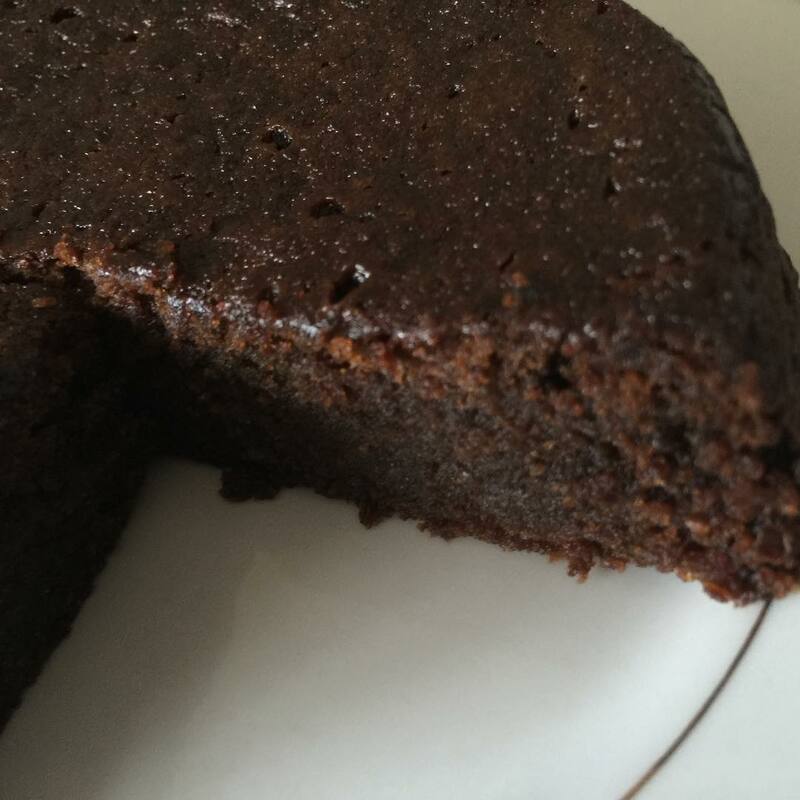 For the best mouthwatering Jamaican Black Fruit Cake, fruits should be soaked in Red Label Wine for 1 week at minimum or to up to a year. 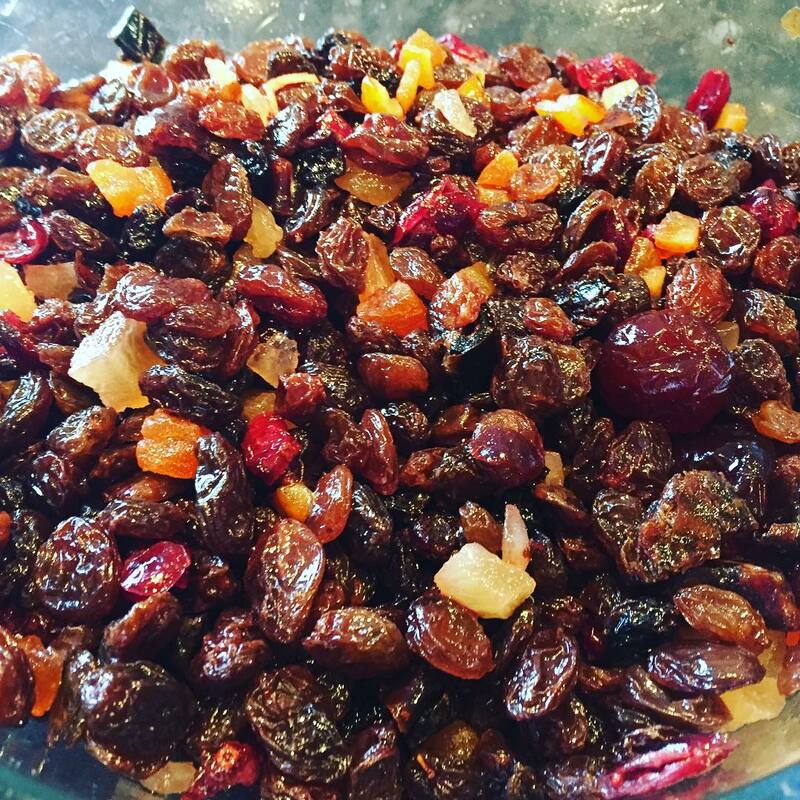 When soaked that long, the dried fruits are allowed to absorb the flavored liquid. Place the fruits in a large jar, pour wine/rum in until fruits completely covered then seal the jar tightly — leave fruits to soak. Don’t have time for that? Place all dried fruits in a pot, pour Red Label Wine, covering the fruits, and then boil for 1-2 minutes. Leave it to cool and marinate for 24 hours. The fruits will be soaked as if they were left to marinate for a month in advance. To achieve a fine, smooth mixture and to avoid chewing fruits while eating the finished product, blend all the fruits together with Red Label Wine/Wray and Nephew Overproof Rum. The choice is yours. 1. Ignite and set the clean oven 300F then set aside an additional cake pan of water to be placed at the bottom of the oven to ensure the cakes do not dry out. 2. Cream butter and sugar in a very large mixing bowl with a wooden spoon until light and fluffy. 3. Beat eggs one at a time with an Egg Beater (5 minutes) or two at a time for 1 minute with an electronic cake mixer until light-yellow in colour. 4. 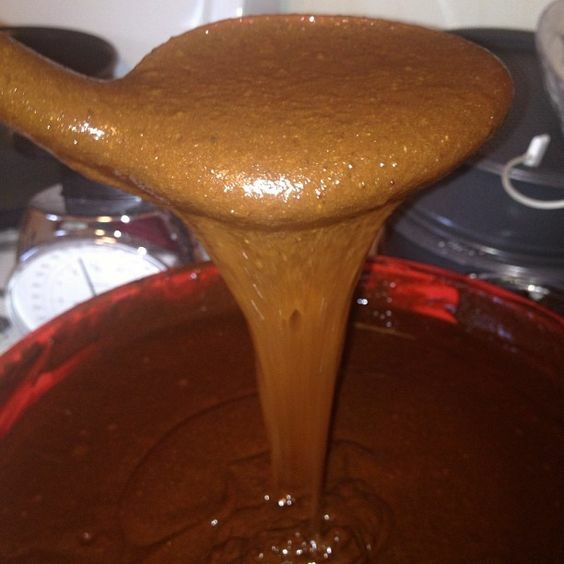 Add to egg mixture: browning, vanilla, salt, mixed spice, and a splash of rum then stir with a large wooden spoon — or mix in the electronic cake mixer. 5. 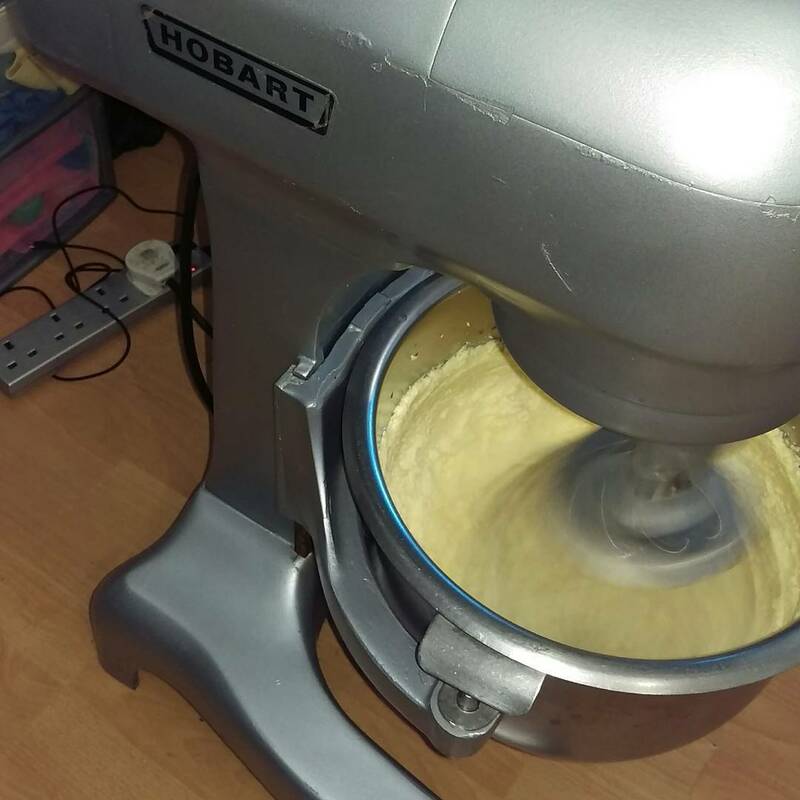 Add baking powder, cinnamon and grated nutmeg then stir with wooden spoon or mix in the electronic cake mixer. 6. Pour egg mixture into the sugary-buttery mixture, fold well with wooden spoon until all are properly mixed. 7. Add 4 cups of soaked fruits to the mixture. Fold soaked -chopped or blended- fruits into this mixture. The balance of fruits can be left to soak until the next time you bake! 8. Gradually fold in the flour to mixture, half-cup at a time. After the third half-cup, ensure that you are not adding too much flour by sticking the wooden spoon at a 90 degree angle into the center of the mixture then allow it to fall freely or lift the wooden spoon full to test its viscosity. Too much flour will yield a tough cake. If the spoon falls slowly, that’s not good, add more fruits! If it immediately falls to a 45 degree angle and then slows, the consistency of the cake mixture is great and is ready to be baked! 9. Grease baking pans lightly (not too light), line with greased paper then grease and flour lined pans. Pour mixture into tins then place the tins in the oven to bake for about 2 hours at 300F. 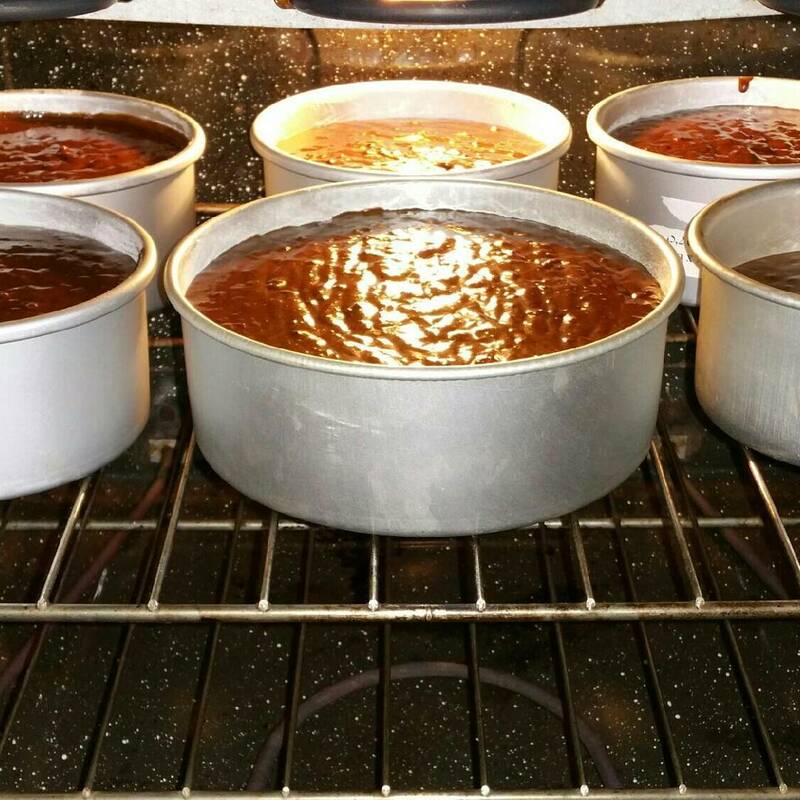 Place a pan of water in the bottom of the oven to ensure cakes do not dry out. 10. Check cakes from time to time, as baking times may vary. Stick a clean knife in the middle of each cake. Cakes are ready when the knife comes out clean, or almost clean. Once out of the oven, pour a little Red Label wine or rum on the top of the cake(s) and cover with an aluminum foil or you can flip the cake and decorate. This is how the bottom of the cake should look. 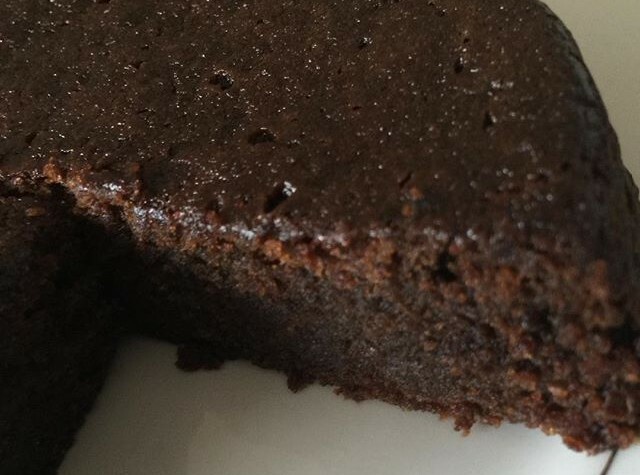 You determine the moisture by how much Red Label wine you add after the cake cools. 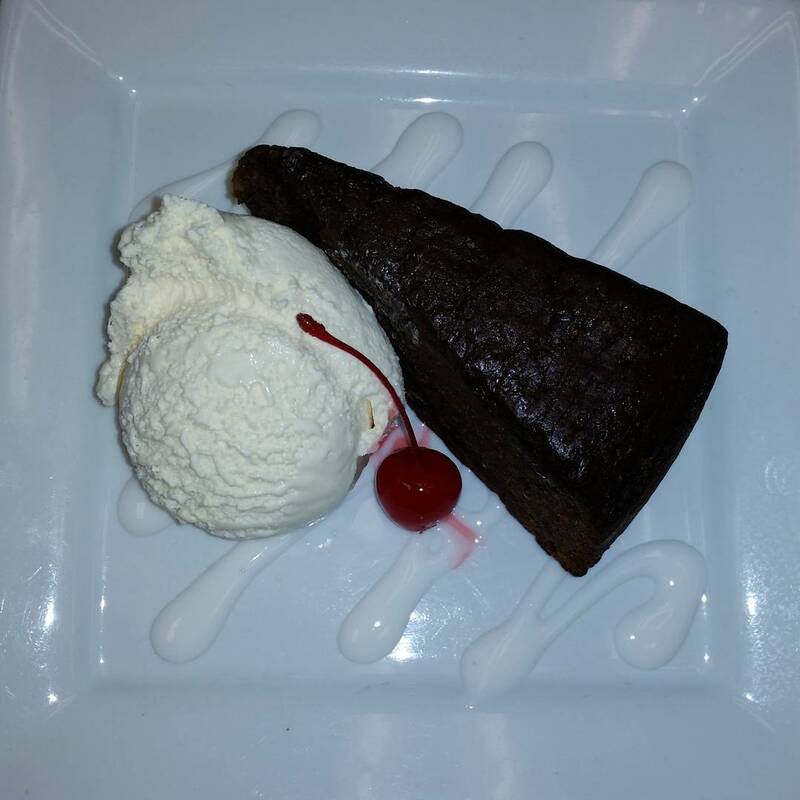 Why not have it with ice cream?